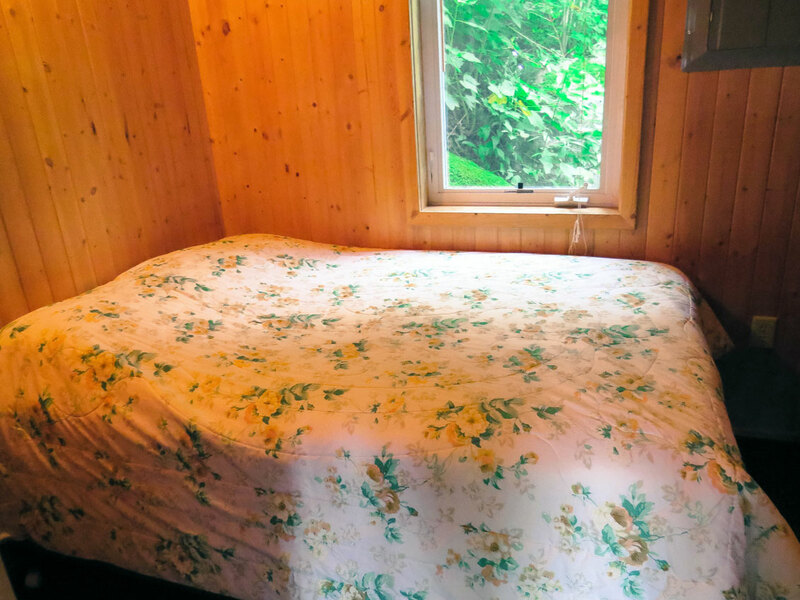 Cabin 5 is a stunning, cozy cabin for two overlooking the beach area and nestled into the side of a hill. 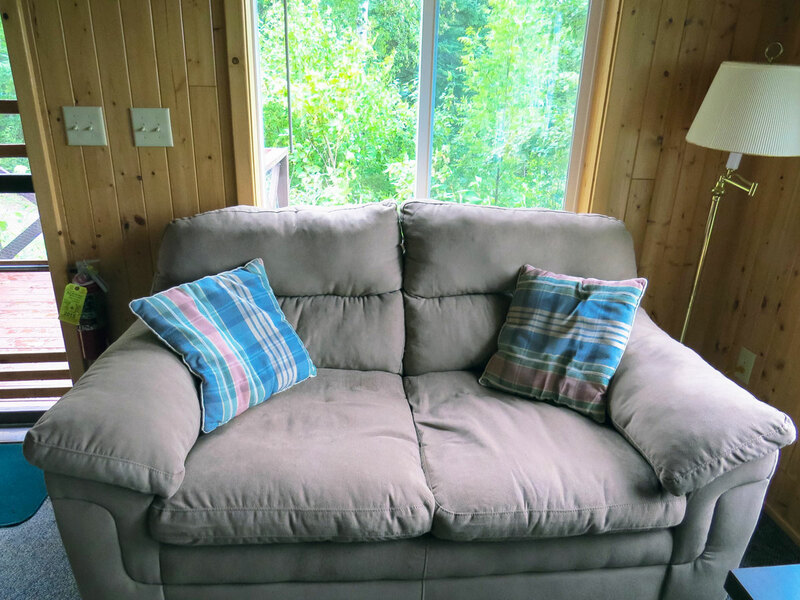 Large windows provide a bird’s eye view of the outdoors without actually leaving the cabin. 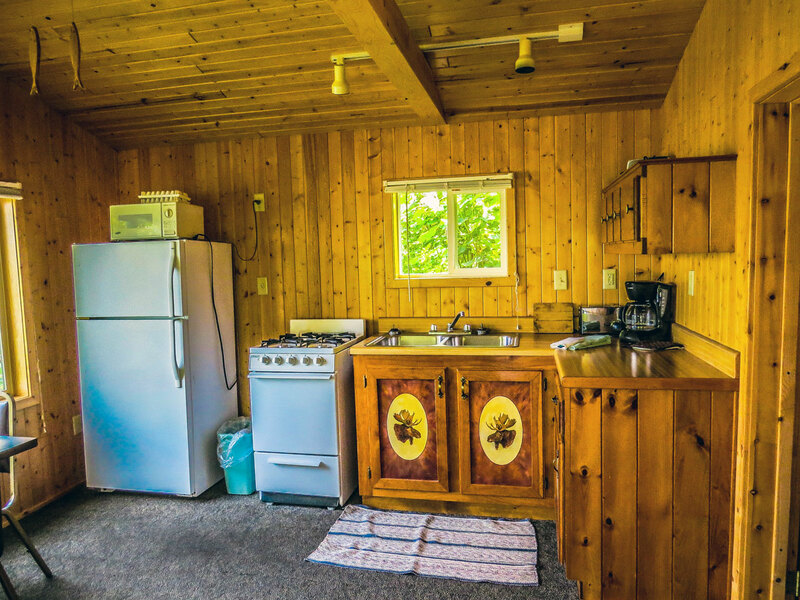 New knotty pine interior, handmade, hand painted cabinets and charcoal grill. 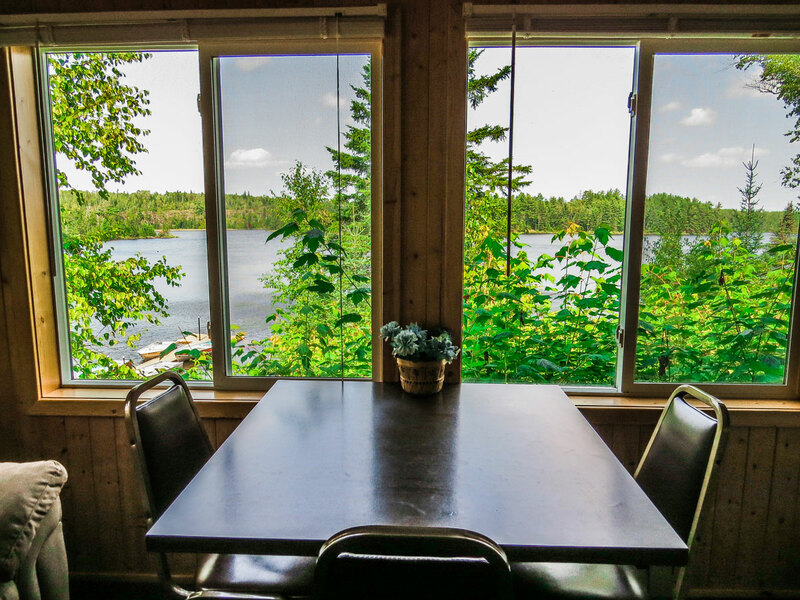 Imagine yourself sitting enjoying the sounds of the loons calling on the lake.